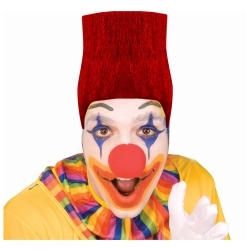 The hi-top clown fade wig is a different variation to the traditional afro clown wig. Wig is available in red only and goes perfectly with almost any clown costume. Don’t forget the clown make-up!